Marc Malkin from E!Online says that the Los Angeles premiere of The Runaways movie is set for March 11, and that the New York City premiere will be “5 days later”, which if I do my math right is March 16th. Read the rest of his article HERE. The Make Up For Ever USA contest for the New York City Runaways premiere still states that the NYC premiere will happen on March 17th. So I really don’t know which date is correct. I’ll keep an eye out. This entry was posted in The Runaways Movie and tagged The Runaways Movie. Bookmark the permalink. Enter your email address to follow this blog and receive notifications of new posts by email. Your email address will never be sold or published. 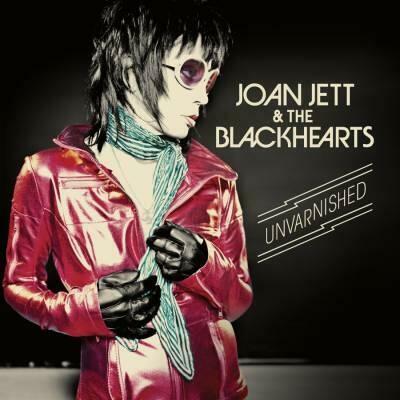 Joan Jett & The Blackhearts are heading out on tour this summer with Heart and special guest Elle King! Details HERE. Joan Jett & The Blackhearts Exclusive Presale: 2/12 10am local time • Password: BADREPUTATION Public Onsale: 2/15 10am local time VIP packages available. Bad Reputation Now Available on HULU! Purchase it now on Amazon, iTunes and more. If you want to share or distribute anything on this site, please link back to the original source and give attribution to born2bjetthead.com.